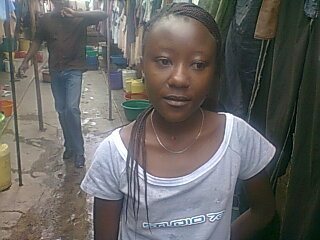 I am a single parent with one daughter and live in the Kibera slum in Nairobi, Kenya. Before the Post Election Violence of 2007/08, I was running a small scale business in Kibera Lainisaba along the railway line. Due to animosity between the Luo and the Kikuyu, that erupted as a result of the purpoted stolen election, my properties were destroyed including my houses because Lainisaba is a Kikuyu dorminated area. So I was forced to become an IDP (internally displaced person) in my own country. 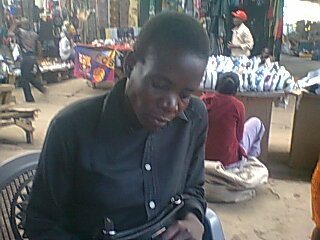 As I was still wondering about the next move to take since i didnt have capital to restart my business in 2008, a friend introduced me to a Youth Empowerment Programme which was sponsored by UN-Habitat and implemented by the Digital Opportunity Trust, through which I was able to undergo traning in basic ICT, business and entrepreneural skills. Just after the training I started working with the Matibabu Medical Centre as marketer: This is when I realized that most families could not afford the basic needs like even two meals a day or medical care as most live below the poverty level of 1 US dollar a day. I decided to turn proffessional and enrolled myself for a diploma course in development studies, community health and development at the Premese African Development Institute. After graduation with distinction in the academic year 2010-201, I felt the need to empower the young single parents on issues affecting them, especially in areas related to employment. The majority of them do not have enough income to start their own business or receive certification to get a decent job, instead they tend to opt for prostitution in order to earn a living – despite the risk of having HIV/AIDS. In July 2011, UN-Habitat gave me the opportunity to attend the 1st African urban forum which was held in Nigeria With the allowance received I decided to roll out the programme KIVIWOSHEG. Because i wanted a sustainable aspect to it, I decided to target Muthurwa Market as a requirement to make sure anybody getting the fund would eventually be able to pay back. There are several youths with art skills in the slums , and the impediment is getting them to sell their end products on the market so that they can sell more and also employ other youths. The challenge we are facing now is getting scholarships for the siblings in the families to ease the tension on their income. You find children and youths to be the main provider for their households from food to rent to school fees. Some have up to six kids to cater for. We are looking for partners to be able to reach out to as many families as possible. Currently we have 20 members who in turn have employed 20 more youths to help them run the business as they go to the market to purchase more stocks. If you want to get in touch with Millicent feel free to send us an e-mail to afriperspectives@gmail.com or contact her directly on either the KIVIWOSHEG website/blog or her facebook page. I’m 20 years old with a daughter aged 2 years and 4 moths. I dropped out of school in form 2 after getting prey of unwanted pregnancy. Luckily I got married to the man who got me pregnant. After the training in entrepreneurship skills offered by KIVIWOSHEG I realized my passion is in hair dressing and I am willing to attend the course in the same. If I get the capital to start my own salon it will go along in helping to provide income for my upkeep and support my husband. I am 36 years old. I finished the Kenya Certificate of Secondary Education in 1994 and managed to do a course in tours and travel diploma. Also I did an elementary in French and seven computer packages, which I finished in 2000. However, I have not been able to get a job. I now self-employed by selling Mitumba shirts and tailoring. 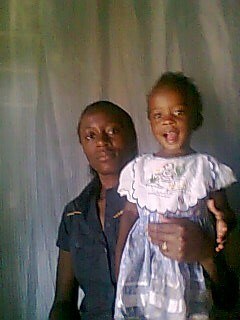 I am a single mother of a 10 year old girll and I rely entirely on the business for the upkeep, rent and school fees. Let us all love each other and strive to create a sustainable better future for all.